Veteran singer and actor Tony Martin has died at the age of 98. Tony Martin was best known for such romantic 1950s ballads as There’s No Tomorrow and To Each His Own, and his 60-year marriage to dancer Cyd Charisse. A peer of Bing Crosby and Frank Sinatra, Tony Martin also starred in movie musicals from the 1930s to the ’50s, alongside stars such as Judy Garland. Business manager Stan Schneider said he had died “peacefully” of natural causes at his Los Angeles home on Friday. Musician and longtime friend Gabriel Guerrero describedTony Martin as “the ultimate crooner who outlasted all his contemporaries”. He said he had “truly remained the butterscotch baritone until he was 98”. 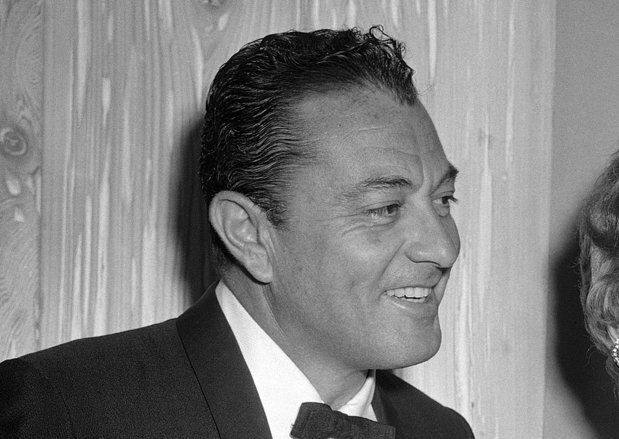 Tony Martin was featured in 25 films, most of them made during the heyday of Hollywood musicals. His good looks saw him often cast as the romantic lead. His first singing role came in the 1936 film Sing Baby Sing, which starred Alice Faye – one of the Fox studio’s biggest stars and Tony Martin’s future first wife . He joined MGM in 1940 where he acted alongside the likes of Lana Turner, Esther Williams and the Marx Brothers. Tony Martin divorced Alice Faye after two years before meeting rising dance star Cyd Charisse, whom he married in 1948. Tony Martin and Cyd Charisse, who partnered Fred Astaire and Gene Kelly during her career, were together until her death in 2008. He also produced and starred in Casbah in 1948, a musical version of the 1938 film Algiers. Growing up in San Francisco and Oakland amid a poor, close-knit Russian Jewish family, Tony Martin said he used music as an escape route. “I always sang,” he said. “I always played some instrument or other, real or imagined. Tony Martin, whose other big hits included Stranger in Paradise and Walk Hand in Hand, often made singing tours of Europe and had a yearly contract at the London Palladium. According to friends, Tony Martin continued performing into his nineties. Madonna says boos at Olympia MDNA show were from "a few thugs"